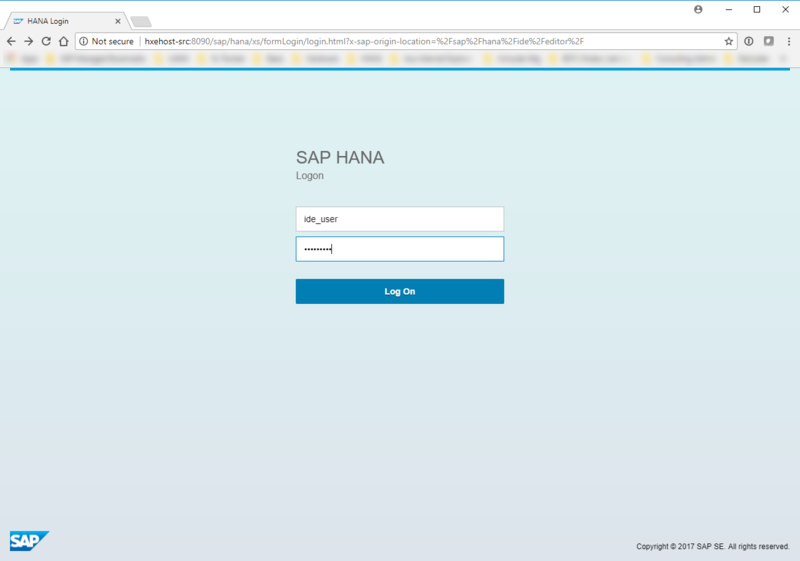 In this blog I explain how to access SAP HANA’s Web-based Development Workbench. 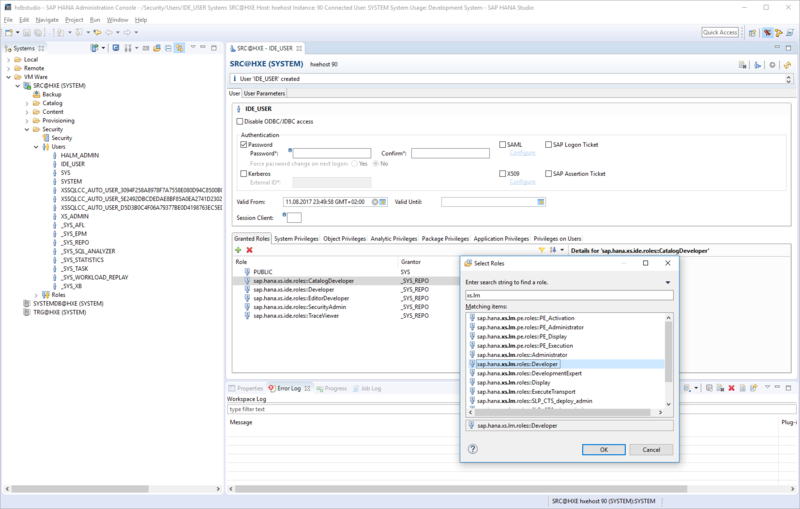 In case the Development Workbench of the System Database shall be reached, no further configuration is required. To be able to reach the Development Workbench for a tenant database, the Web Dispatcher needs to be configured to forward incoming requests to the tenant database. The routing is done via the hostname used in the caller’s URL. Beside the configuration of the Web Dispatcher, virtual hostnames need to be defined as well. In this example this is done by adding virtual hostnames to file /etc/hosts. 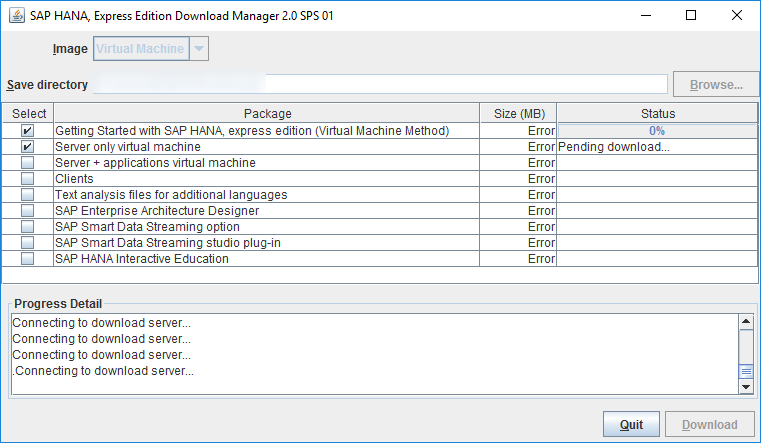 For a detailed description about all this please read my blog SAP HANA 2.0 Express Edition, Transport between Tenants. It also includes a description about howto create a tenant database. To be able to logon to Development Workbench create a new user and add the following roles. This provides only a very minimum set of permissions. To be a ble to do some work at least an additional role needs to be added. 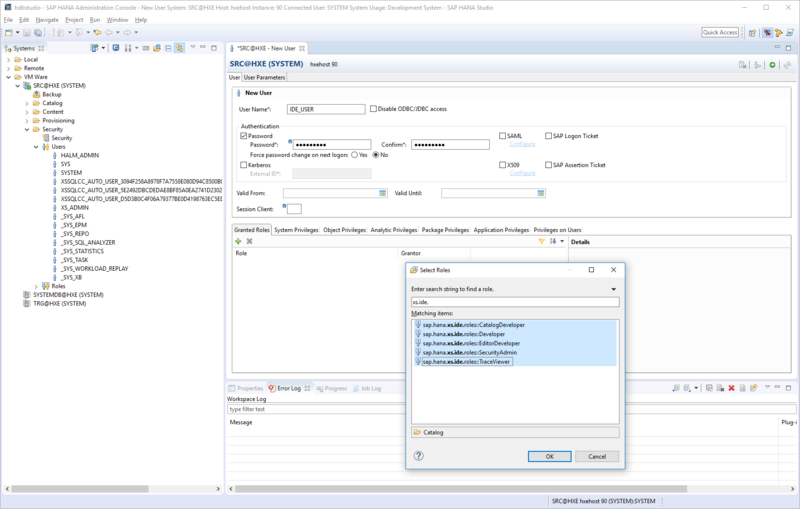 All details about the roles are described in the SAP HANA Security Guide.